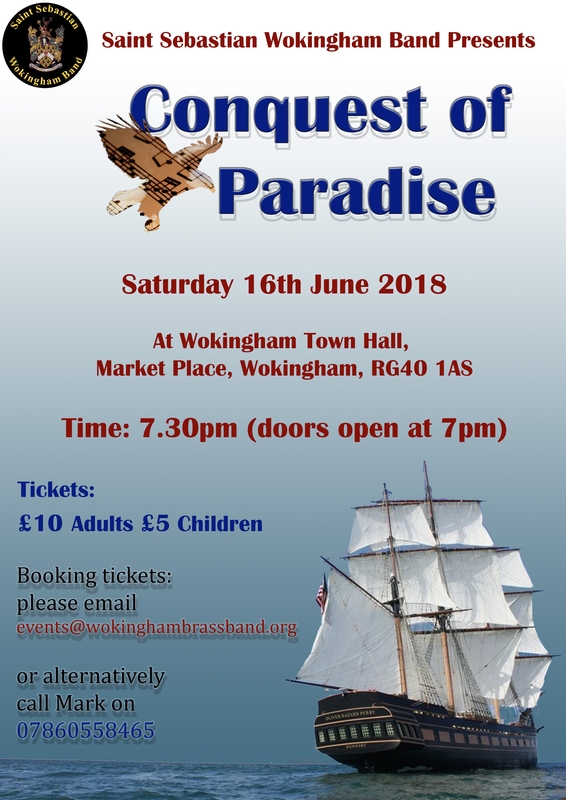 John and the Band are proud to present a Conquest of Paradise; a journey of music to the new world. An exciting program of varied pieces that will surprise and delight! Tickets are only £10 (£5 for children) and the doors open at 7pm ready for a 7.30pm start, so come along and enjoy a night of musical discovery. Journey to the new world in style! We also have more gigs on the horizon so keep an eye on the website and facebook to hear more about whats coming up…. 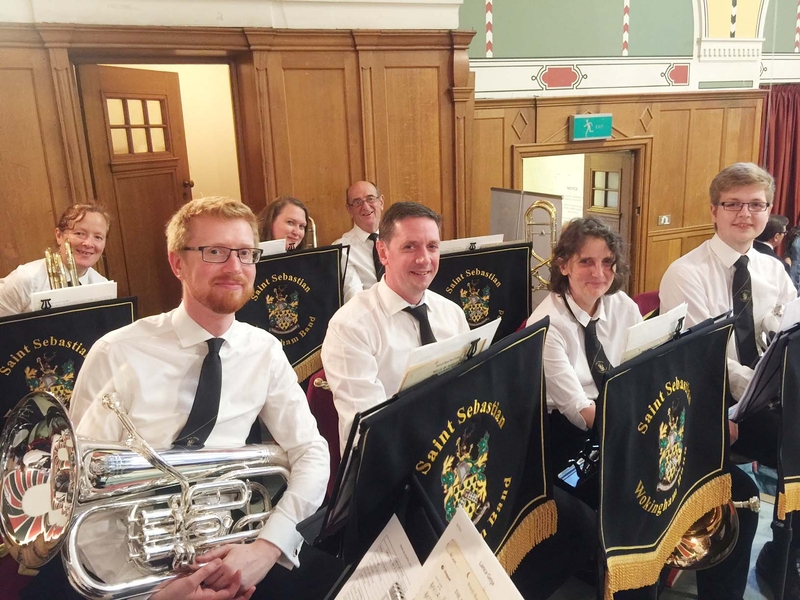 Saints had their last rehearsal, preparing for Sunday’s concert with Reading Spring Gardens Brass Band. If you want to know what Saints are up to for this concert, then you’ll have to come along and see what all the photo’s below are about. 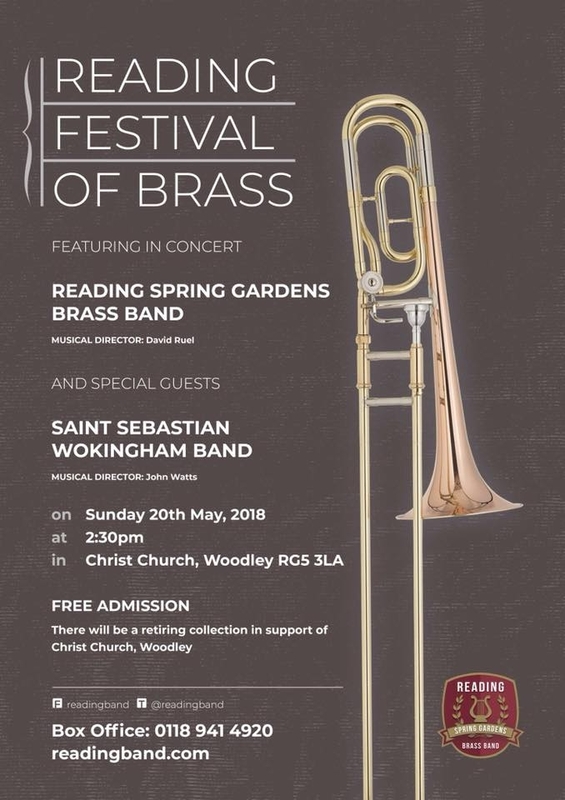 It poses to be a wonderful afternoon of music and we are excited to be joining the wonderful players of Reading Spring Gardens. The concert starts at 2.30Pm at Christ Church, Woodley. This is a FREE event, but there is a retiring collection for the Church at the end. 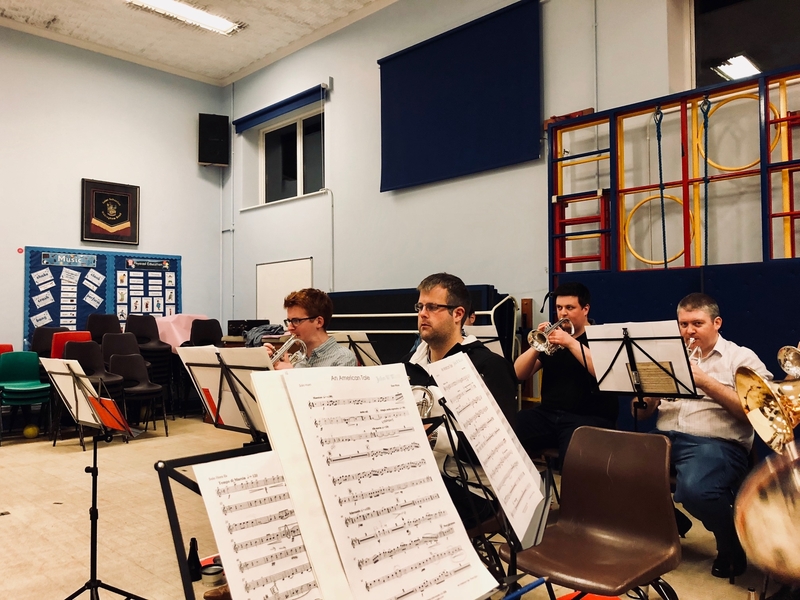 Saints have been busy since John Watts came on board in January, preparing for the Area contest that takes place in March. 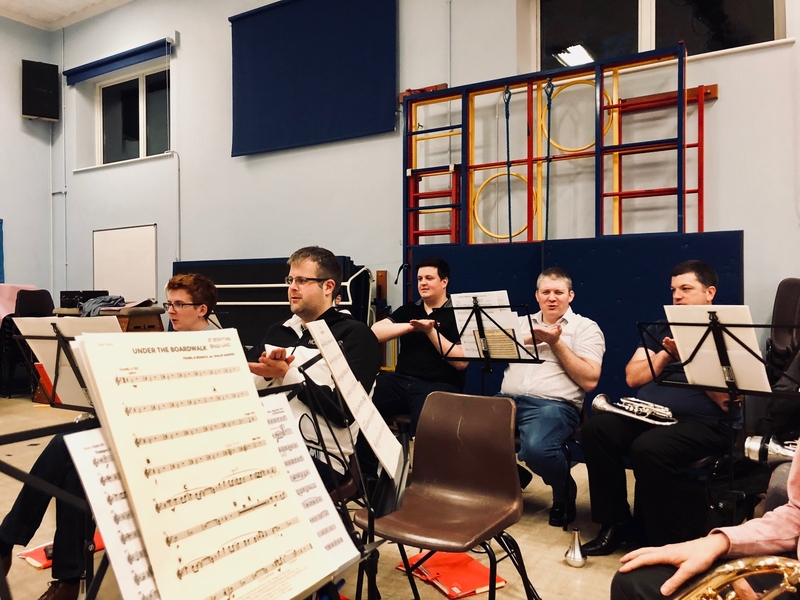 Like many bands, we decided to give the Area test piece, Ex Terra Lucem (by Jonathan Bates), a good run out at scaba’s spring contest at The Hawth theatre in Crawley on Sunday the 25th of February. 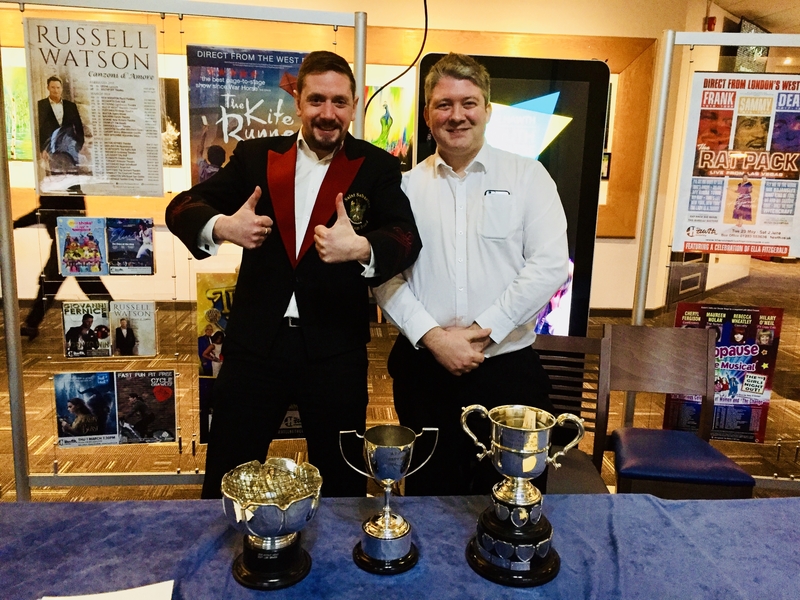 Saints worked hard, and with John at the helm, we came away with the Second Place trophy, the March Prize and the Soloist Prize won by our flugel player Damon Emes. Not only was this the first contest and event of the year for Saints and with John as MD, but it was also our youngest player, Victoria’s first ever contest. 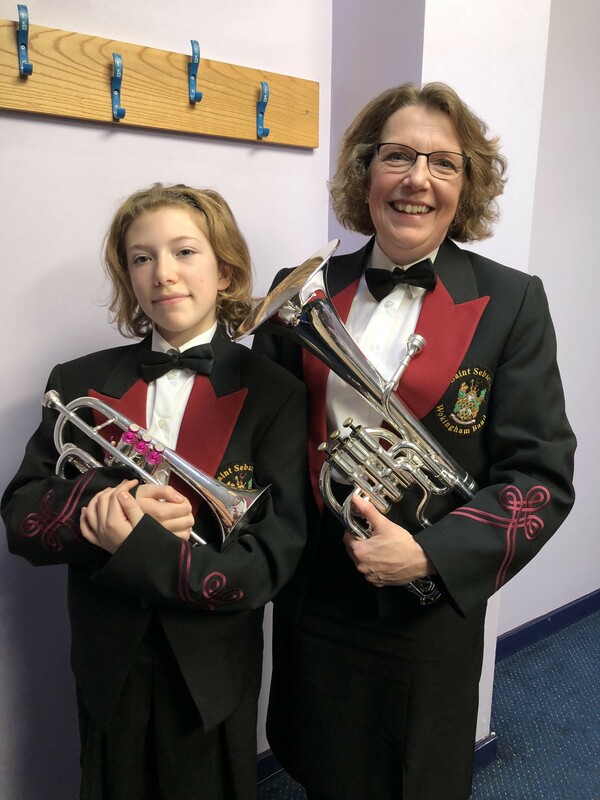 At 12 years old, Victoria Thompson has been doing a brilliant job playing 3rd cornet and will be joining us at the Areas. 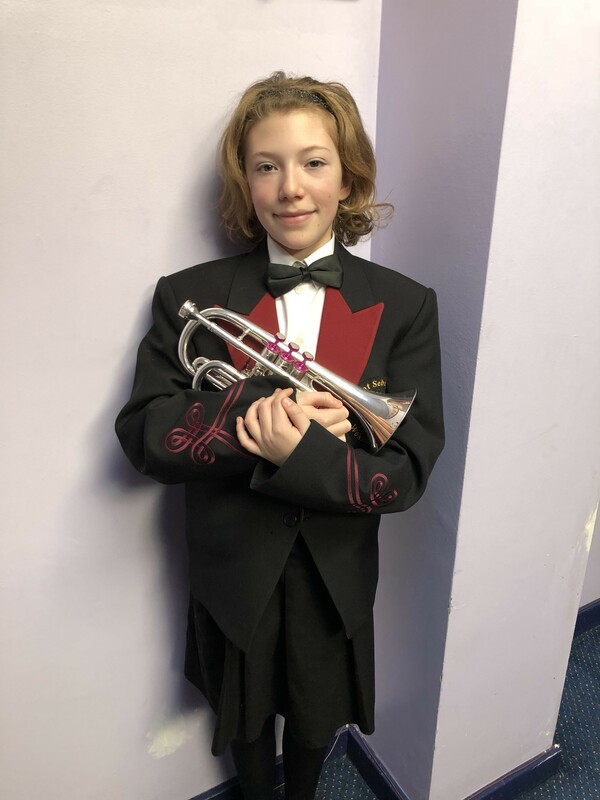 A very talented young musician, Victoria showed no nerves at all, and did her parents Dawn (our 2nd Horn) and Andy (Bass) proud! The band are pleased to announce that with a majority vote, they have offered the MD position to John Watts, who has accepted in principle. 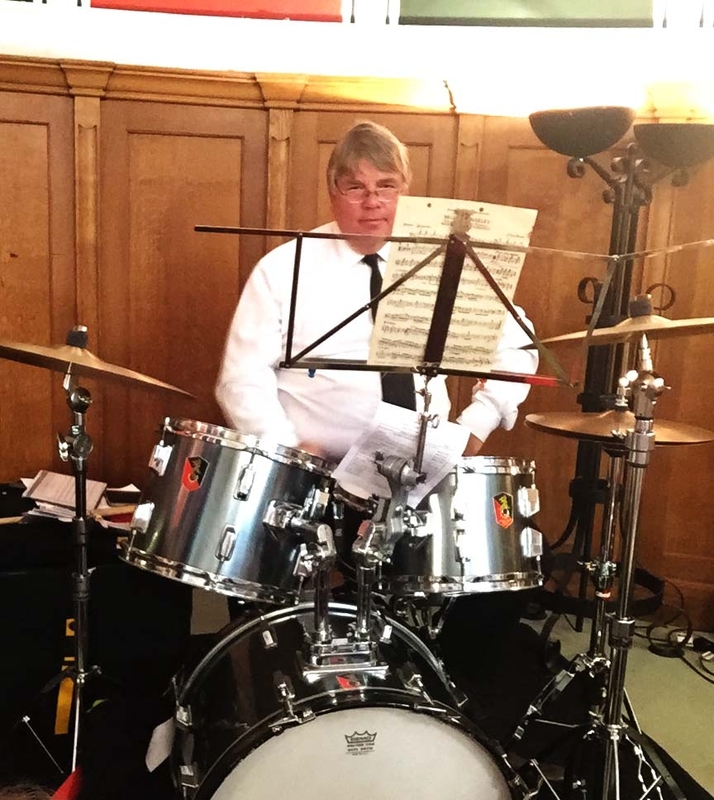 John is an accomplished musician and teaches Brass at both Berkshire Maestros and Henley Music School. He has conduced many bands, including coaching youth orchestras and area ensembles and is the Co-Conductor of the Brass for Africa Band. 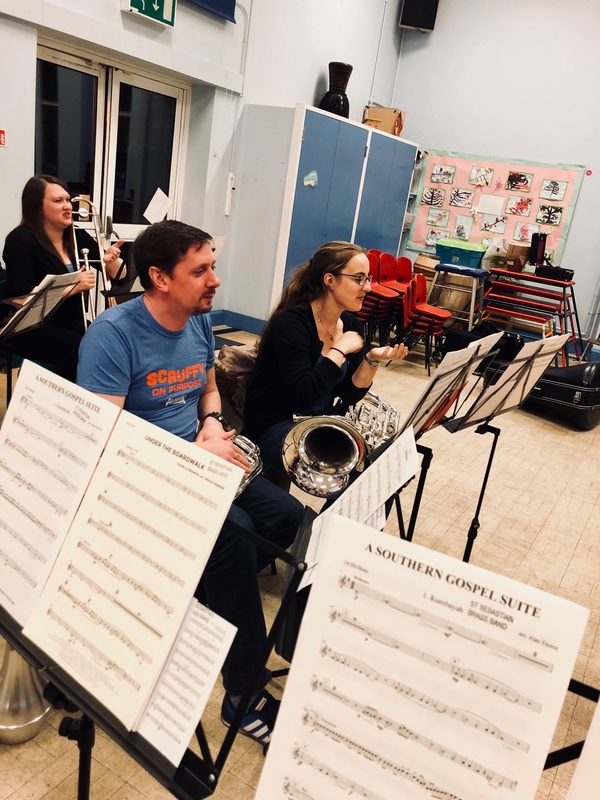 He also regularly deputy conducts Pangbourne Brass Band, conducting them at the 2016 area regional championships, as well as Trinity Concert Band and South Berkshire Concert Band. 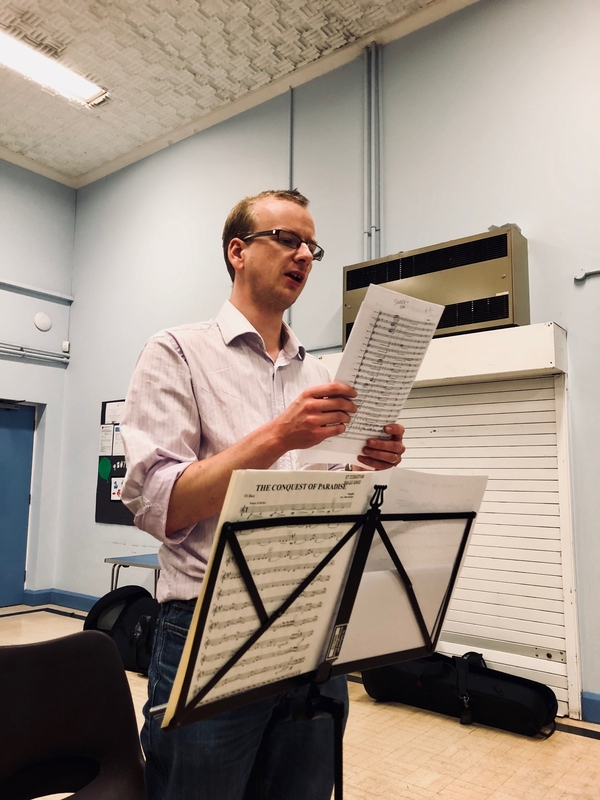 A skilled Brass player (Tuba and Euphonium), John has played for Friary Guildford, Aldbourne, Bath Spa, and Markham Brass Bands, as well as Orchestral organisations such as Windsor and Maidenhead Symphony Orchestra and Reading University Symphony Orchestra to name a few. John is due to start on the 4th of January 2018. 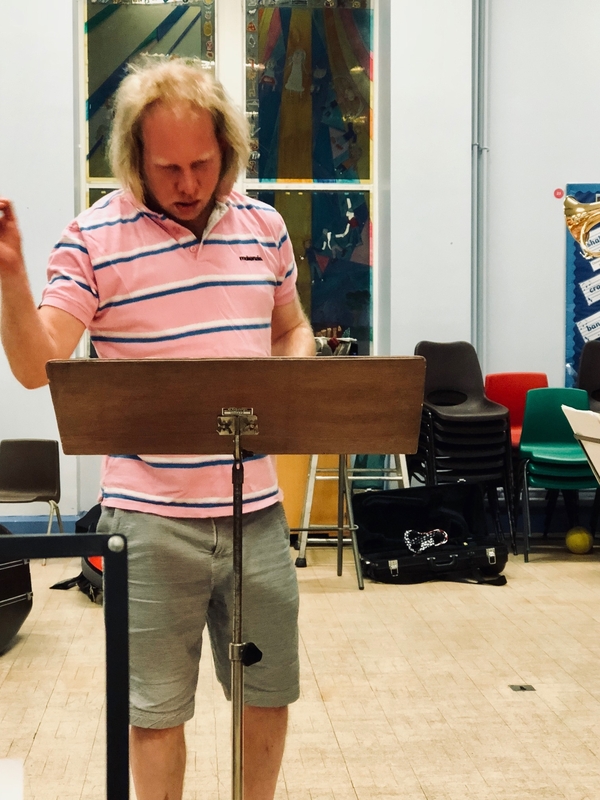 Saints’ next gig will take you on a journey through the cinematic universe, with music from Jurassic Park, The wizard of Oz and James Bond to name a few. 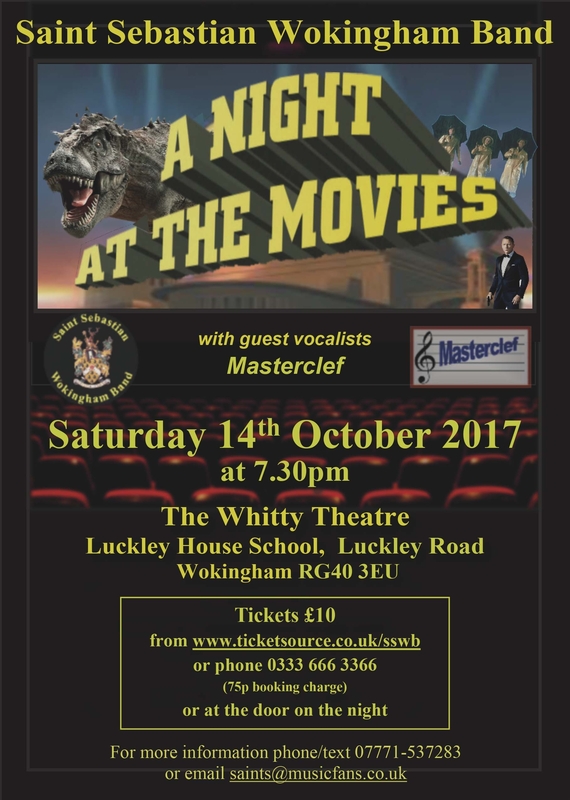 Playing at the Whitty Theatre, Luckley House School, Wokingham, Saints will be joined by the ever-popular singing group, Masterclef. Tickets are only £10 and you can buy these on the door, or to make sure you get one go directly to https://www.ticketsource.co.uk/sswb or phone 0333 666 3366. 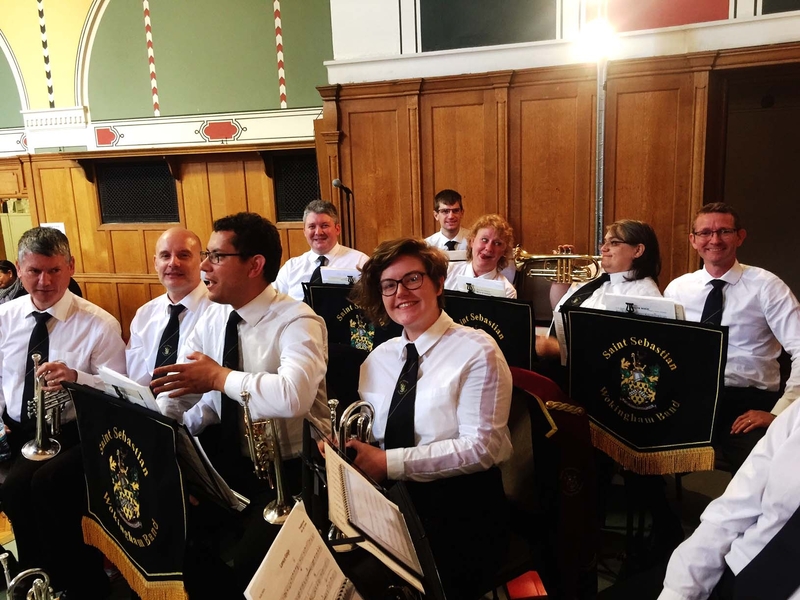 Saint Sebastian Wokingham Band did a wonderful job entertaining the Maltese and guests at this years Malta Day cultural festival at Westminster Cathedral in London. Under the direction of our wonderful Band Master, Steve Block, who has been doing a great job conducting the band while the process for a permanent MD continues, the band played throughout the day entertaining the audience with a varied programme including a variety of traditional Maltese tunes. Despite being a very early morning as the band board the bus at 7.15am to get into London, this is one of their favourite gigs during the year! 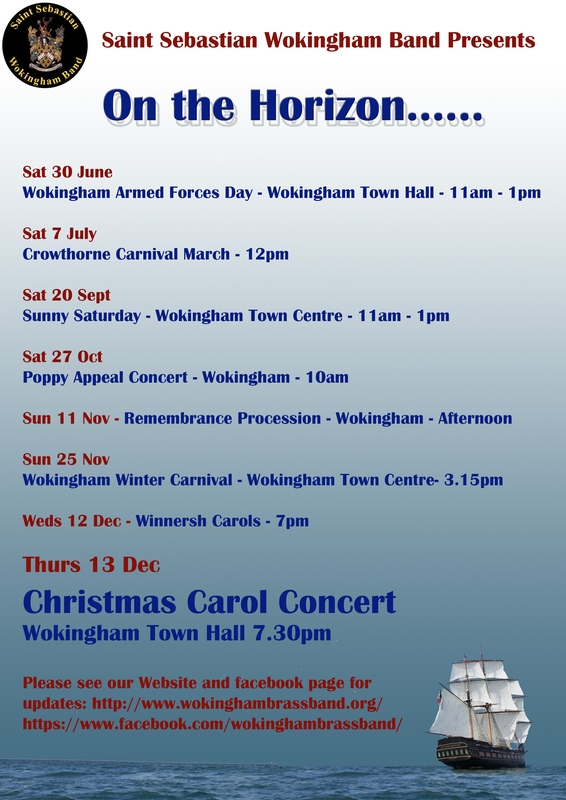 Playing from 9.50am – 5pm, the band play briefly outside in the morning, followed by three main sets in the hall and ending with a gathering in the Piazza and a firework display. We are fortunate to have many friends willing to help us out and due to some gaps, being the holiday season, we welcomed guests to play with us. Speaking to some of them afterwards, they all had a great day and said that they would always be happy to help out on Malta day if needed. Thanks to everyone for making this years Malta Day a success and such fun! 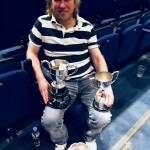 The band thank Nigel Howard for his hard work, musicianship and guidance over the past 10 months. 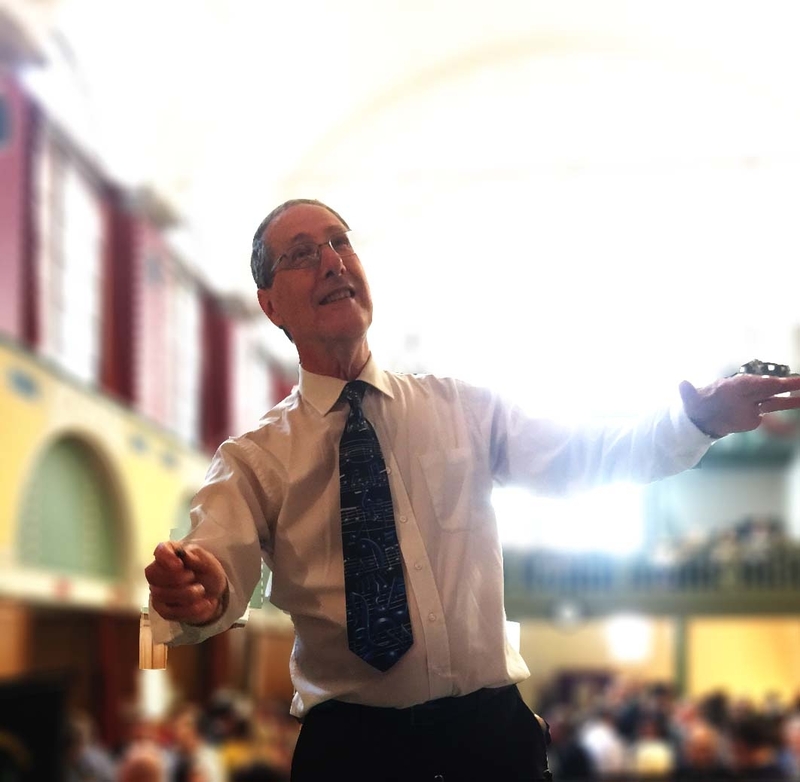 Since joining us last August, Nigel’s contribution was essential to our success at the National Championship and our fabulous concerts in Wokingham. Nigel wishes the band every success for the future and thanks everyone for their hard work during his time as MD. We also wish Nigel the very best in his musical career. 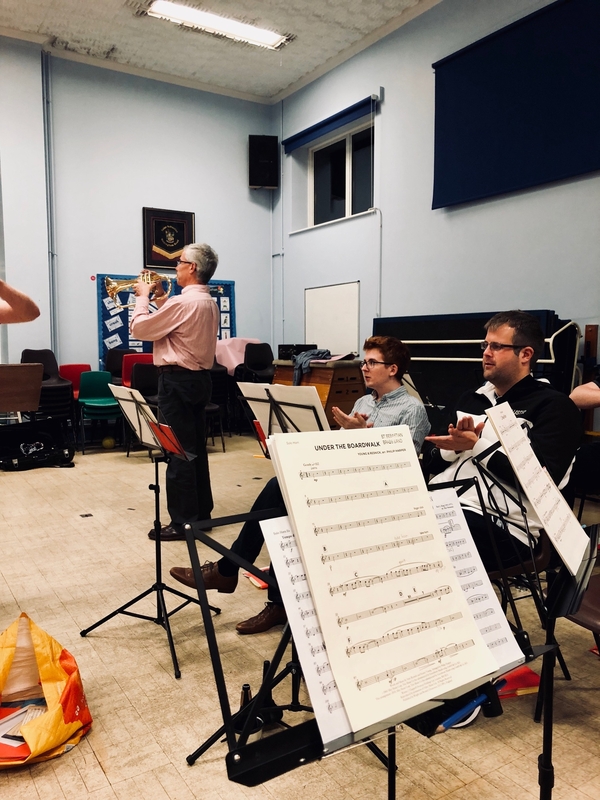 Comments Off on First Concert of the Year! First Concert of the Year! 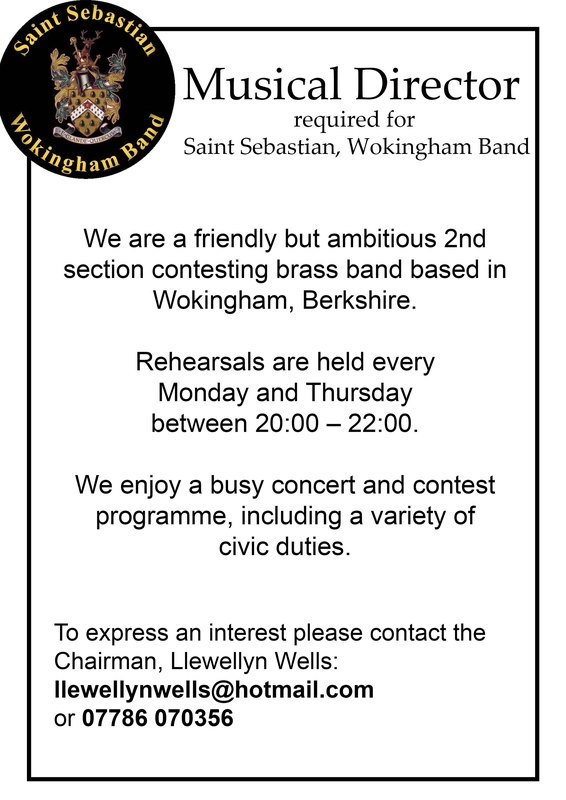 Saints are back with our first concert of the year at All Saints Church, Wokingham on Saturday the 25th of February. We are privileged to be sharing the concert with A440 Choir; an exciting mixed-voice choir of 40 singers based in Berkshire. Together we will perform the best of Brass and Choral music. With a varied and exciting evening of music planned, Saints and A440 Choir know the church is the perfect location to showcase our first joint concert! The concert starts at 7.30pm with doors opening at 7pm. 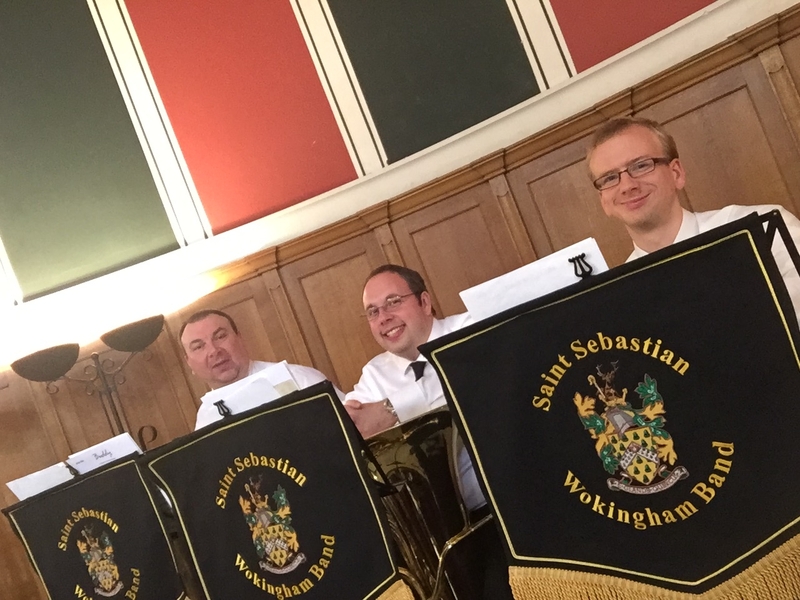 Saint Sebastian Wokingham Band will be holding our Christmas Concert at Wokingham Theatre on Thursday the 15th of December, featuring a wide selection of brass band music and a few surprises. 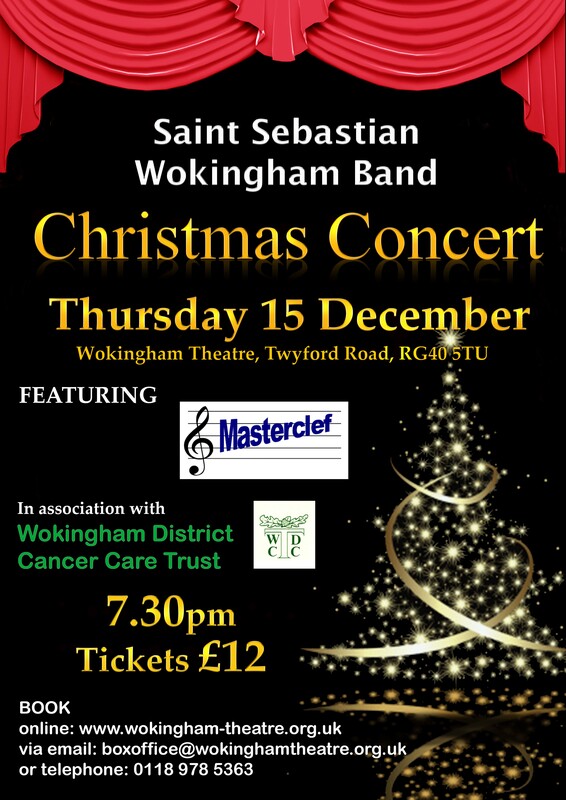 The evening will most certainly be a celebration of music and festive cheer, and this year Saints will be accompanied by Masterclef who are singers from Woodley-based barbershop chorus, Thames Valley Chorus. 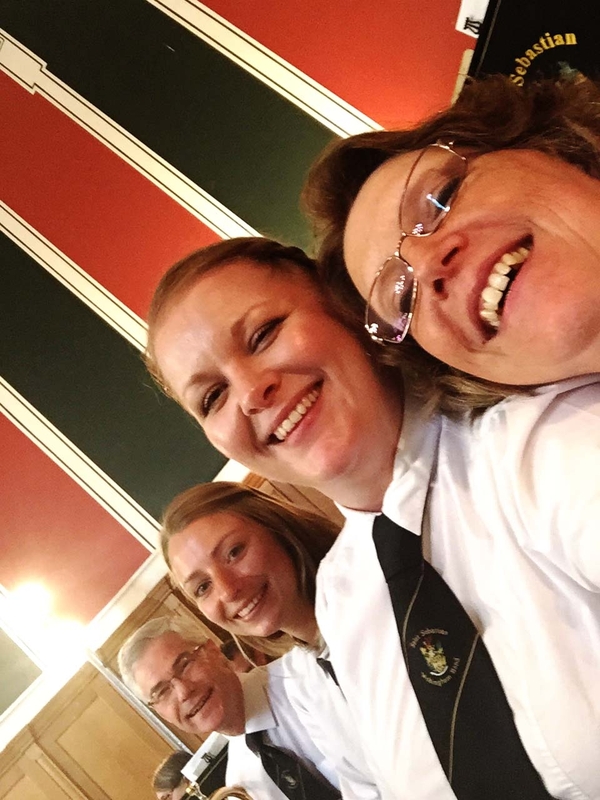 Having competed at the Bournemouth Music Competitions Festival in July, they won the Barbershop Quartet & Small Ensemble class. 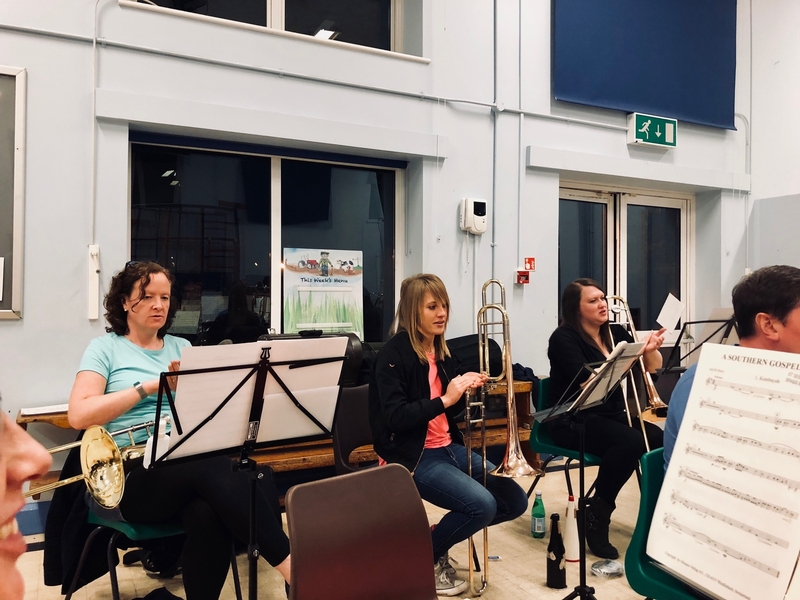 They love close harmony singing and will be singing a selection from their repertoire of show songs, love ballads and pop classics, as well as a sprinkling of seasonal favourites at the Concert.